Muriel Kay Zebra Chestnut Moz Cowhide - Swatches may be available. Our hides are guaranteed to be the thickest, softest, best in texture, color, and pattern available. 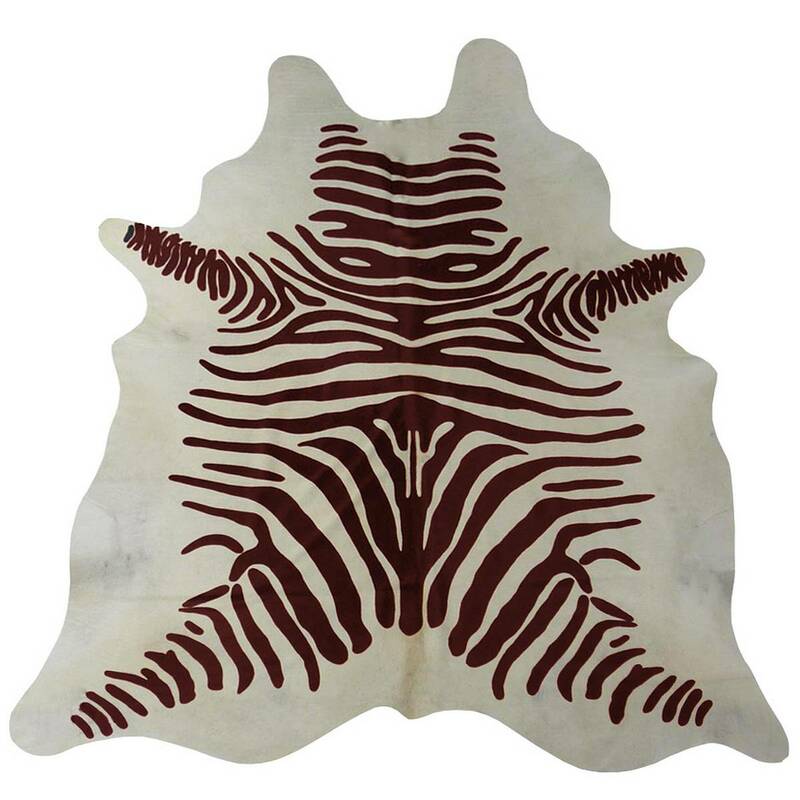 This thick, supple, shed-free cowhide may be used as an area rug, wall hanging, upholstery, and fashion accessories. Originating from Brazil, the hides are hand selected for their superior quality, shine, and suppleness. CHOOSE YOUR FAVORITE COWHIDE - No two hides are exactly the same. All natural cowhides differ in shape, pattern and color variation. Upon purchase, we will email you up to 5 images of cowhides from current stock so that we can ship the hide that will best suit your needs. Our hides are naturally resistant to dirt and stains. We recommend light vacuuming and spot cleaning with damp cloth and small amount of soap. Wrinkles and fold marks formed during shipping will quickly fade away and disappear completely after the hide is laid on the floor. Can be easily trimmed with a utility knife to alter the size and shape as desired. The hide will not fray and the hair will not fall out. Hides that have been modified, trimmed, cleaned or stained by purchaser are not eligible for returns or exchanges.